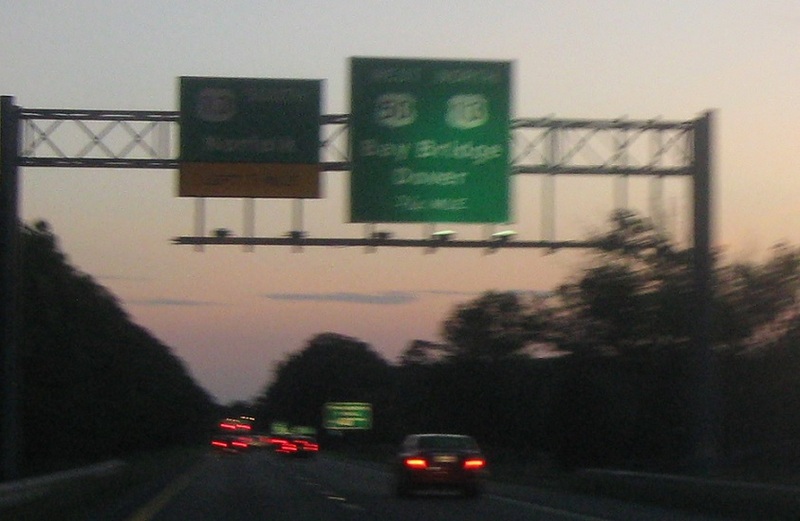 Reassurance shield after MD 353. 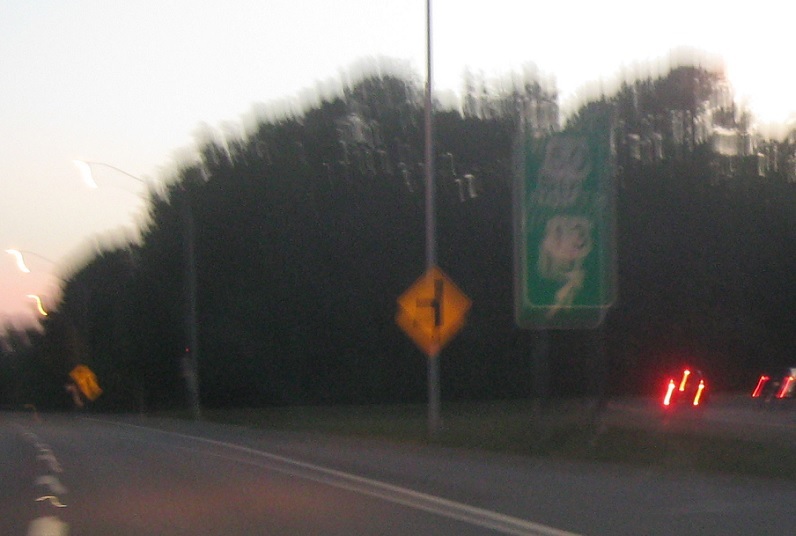 A mile later, we’ll approach US 13. 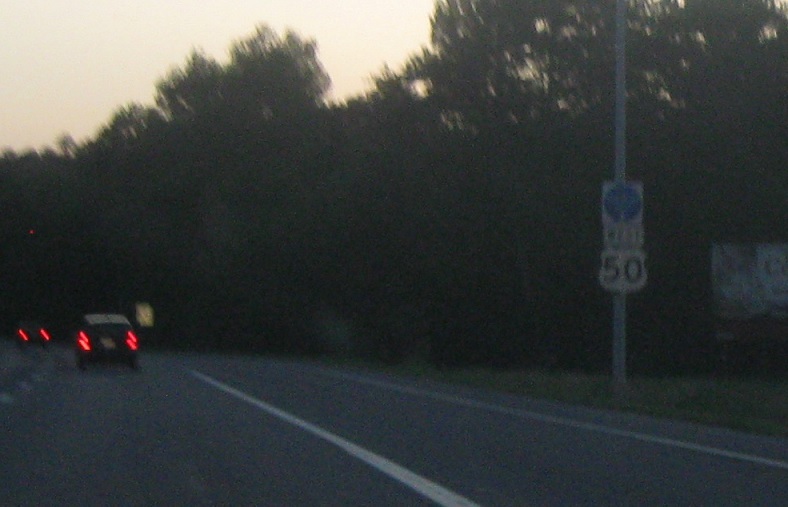 After the Hobbs Rd signal, turn right for 50 west and 13 north. 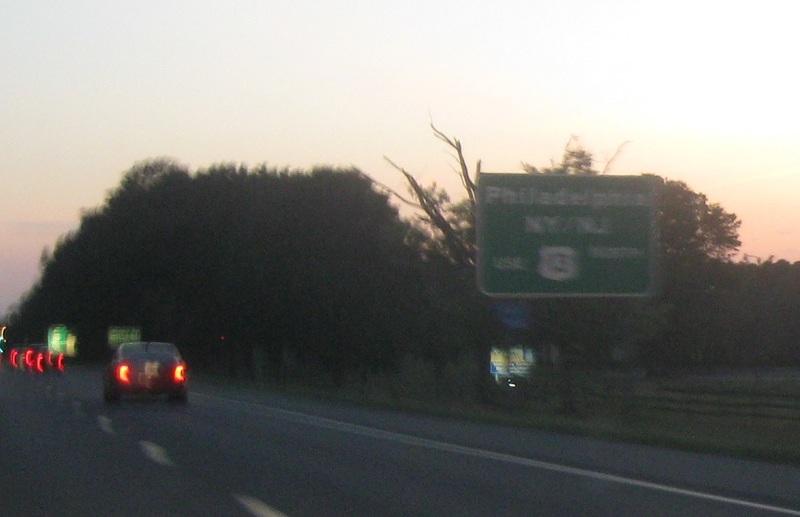 Keep left for 13 south to Norfolk, Va.
Traffic to Philly, New Jersey, and New York should use US 13 north. 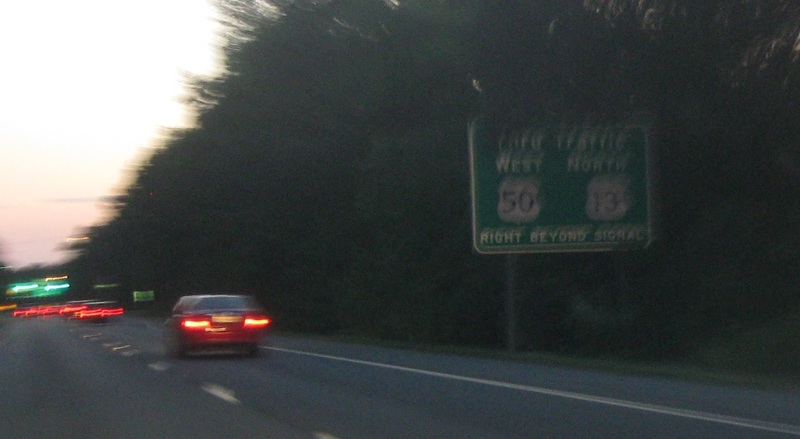 Reminder to turn right to stay on 50 west and join 13 north after the signal. 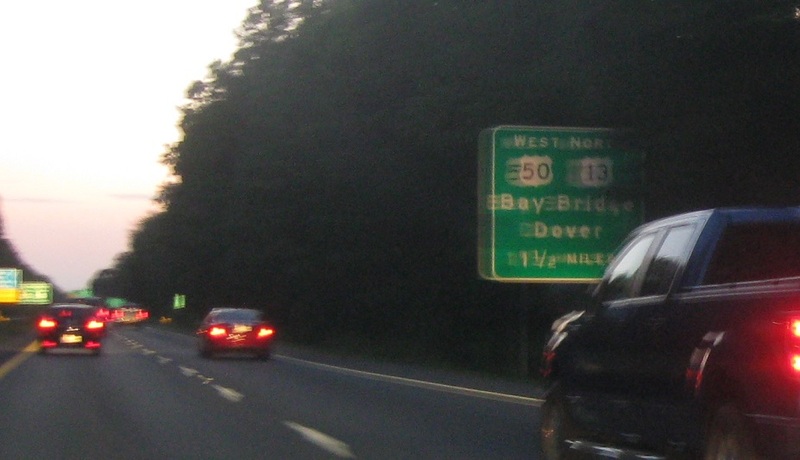 Exit right for 50 west and 13 north. 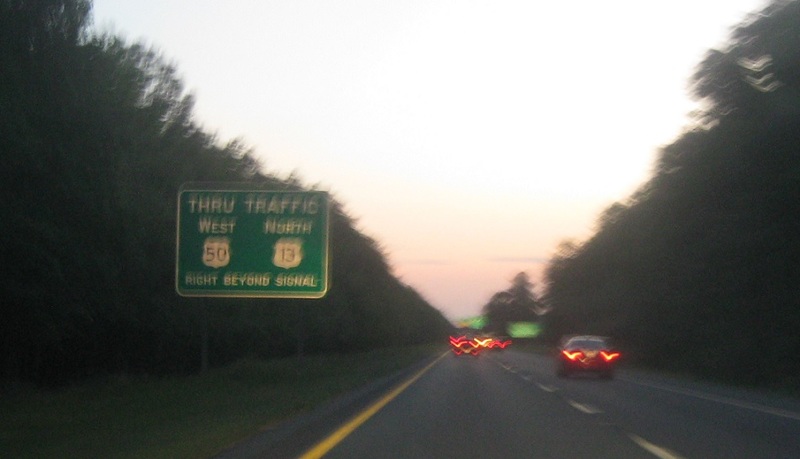 Stay straight for 50 Business into Salisbury. 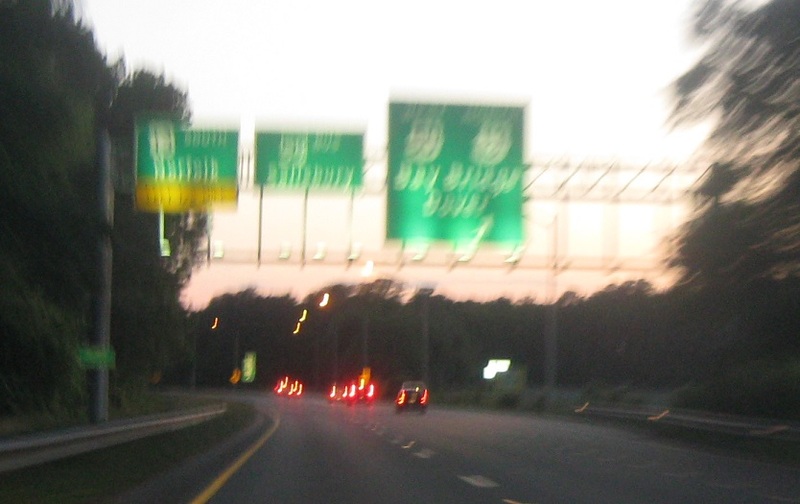 Exit for 50 west/13 north. 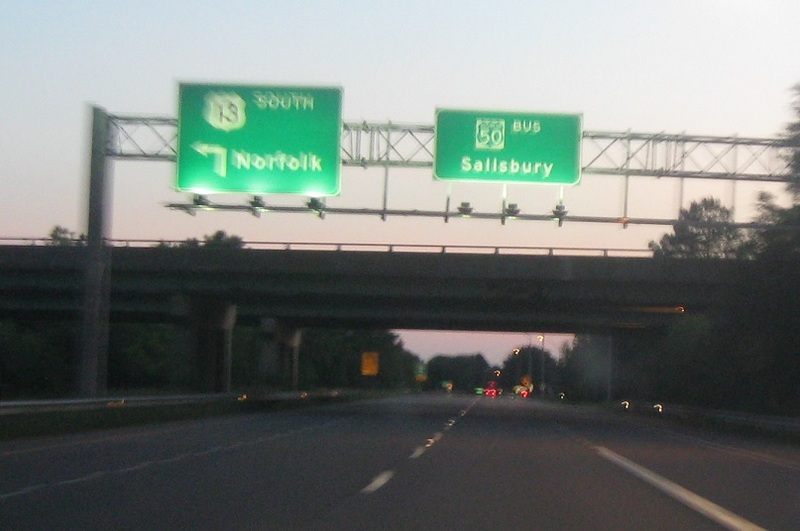 Turn left for 13 south to Norfolk, Va. Stay straight to follow 50 Business into Salisbury.